Rediff.com » Movies » The Tum Bin II Contest: Win COOL Prizes! The Tum Bin II Contest: Win COOL Prizes! If you liked 2001's Tum Bin, you're in for a good time. The makers are ready with a sequel, releasing November 18. 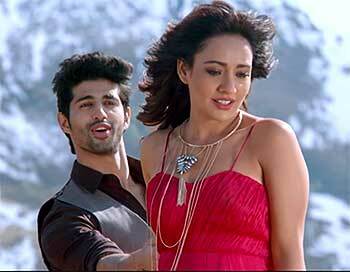 Starring Neha Sharma, Aditya Seal and Aashim Gulati, the love triangle has been shot in Scotland's beautiful locales. Now, you can win some cool goodies from the film too! Who directed the Tum Bin movies? Here's where Bollywood stashes its cash!